Last Call For Snow Removal Contracts for Winter 2017 and 2018! In mid-November, Snow and Ice Removal will stop accepting new contract clients for the 2017-2018 winter season! 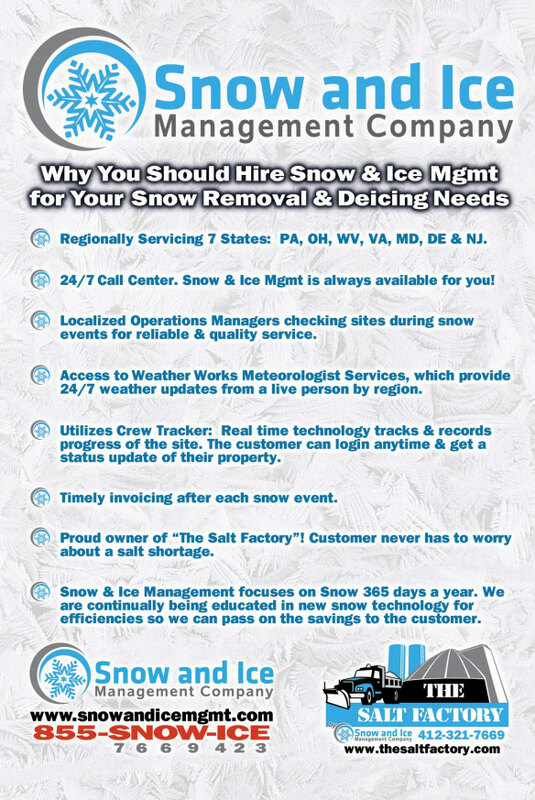 If you are still researching commercial snow removal contractors, we urge you to get in touch with us soon! After November, we cannot guarantee that we will be able to serve your business when snow and ice strike. We serve all of Pennsylvania, Ohio, West Virginia, Virginia, Maryland, Delaware, and New Jersey. Contact us online or call us at (855) 766-9423 to discuss your commercial property's needs for snow removal in 2017 and 2018.